The Elk Issue has always been one of my favorite issues of EHJ. As a teenager I was a certifiable elknut, even though I wasn’t very good at it as a teen. 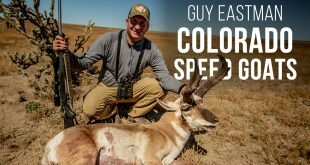 Believe it or not, I didn’t draw a limited quota elk hunt in Wyoming until I was 30 years old and that meant I had to learn how to hunt the general units which often open in the second half of October and run into November or even later. Snow was the norm and often times it was just plain miserable. However, reading Mike’s books and many of Guy’s articles helped turn rare success in general units into regular success. I have rarely killed a bull on opening day, many of them were harvested in the later depths of the general season. Articles like the one below are what turned me into a successful elk hunter year in and year out. 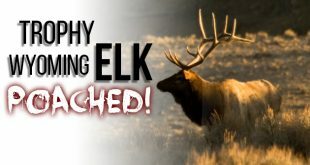 This article ran in the 2011 Elk Issue, but may be a great refresher if you are planning a late season elk hunt! Good luck this fall if you are one of the lucky ones who drew a late season elk tag! P.S. Check out the EHTV sizzle reel after the article, you won’t want to miss an episode. 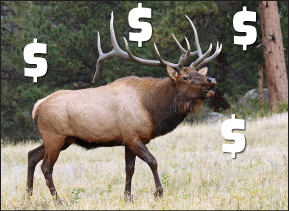 Drawing a late-season bull elk tag has become tougher in recent years. But fear not; there are still some areas that do offer up some very opportunistic late-season hunts for big wintering bulls. States like Montana, Nevada, Arizona, and some parts of Wyoming offer elk hunts for trophy bulls beyond November 15. If your passion for elk leads you to seek one of these cold weather endeavors, then be prepared. Some hunters try to hunt these late fall hunts just like they would a September or October hunt, but be careful; these hunts are an entirely different breed and can require a major deviation from traditional elk hunting tactics and wisdoms. These six ideas can help make your late-season elk hunt more productive. 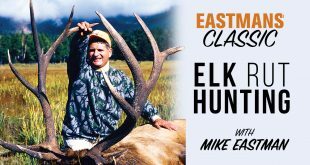 Learning the difference in elk behavior – particularly bull elk behavior – from the early more traditional elk hunting timeframe of September and October and that of a wintering or migrating bull a hunter will encounter after about November 15 can be paramount. Wintering elk are not rutting elk. 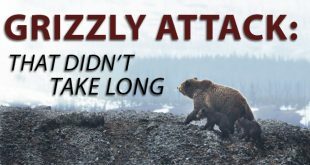 Generally speaking, you won’t find mature bulls with the cows and calves; you won’t find elk where you find rubs and wallows; and you won’t find mature bulls in large herds. This time of year, big mature bulls are somewhat cantankerous and just want to be left alone. They’re worn down from the rut, have depleted fat reserves, and are not looking forward to the harsh winter weather. 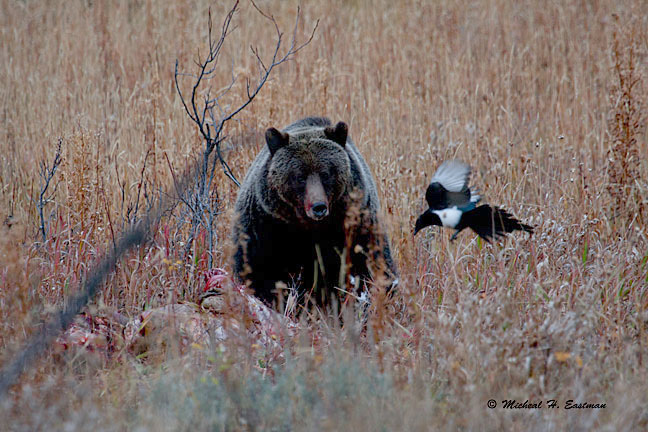 There is one thing on a bull elk’s mind this time of year – survival – and that means good feed and lots of it. Find the best feed and ample cover and you’ll find the bulls. Keep in mind that the best winter habitat for big bulls can be a windswept slope on the very top of a knob or ridge top, very high above the valley. 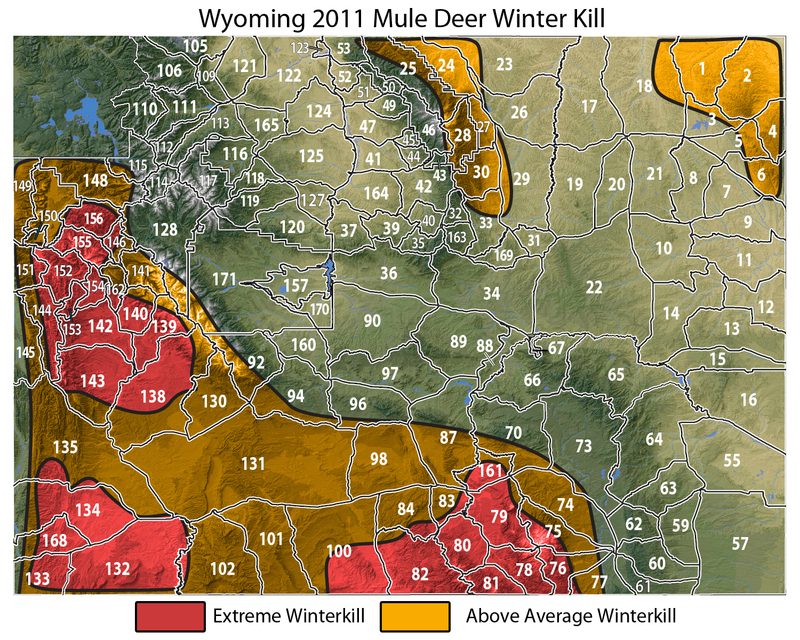 This time of year, what looks like good habitat to humans is not necessarily good winter habitat for a bull elk. Never underestimate a bull elk’s ability to survive in severe weather conditions. They can be completely comfortable in belly-deep snow, especially during the first part of the winter months. More times than I can count, I’ve witnessed a group of bull elk wintering on a mountainside or in a basin in December in two or three feet of snow, even when a 500-yard downhill stroll would take them almost completely out of the snow. Mature bulls will be completely comfortable in conditions that cows and calves will definitely not tolerate unless forced to. As general rule of thumb, if you’re seeing cows and calves, you’re not hunting high enough or deep enough. When glassing for late-season bulls, I actually start at the top of the mountain and work my way down until I find them. Concentrate on the south-facing and sometimes the east-facing slopes. When it’s really cold, those bulls tend to like that morning sun on them to warm up from a blistering cold night. The bulls will need a lot of feed and will stay out in the open longer, making them more vulnerable. They might stay out until well after 9 a.m. and will often show up to feed again early in the afternoon. Glass hard during all daylight hours. You never know exactly when and where a big bull might turn up. When glassing hillsides, canyons or basins flush with snow, always be on the lookout for signs of life as much as you are for elk themselves. Big wintering bulls will place heavy tracks along a snow-covered hillside that are very hard to miss and only a heavy snowstorm can hide. There is a difference between “traveling” bull tracks and “wintering” bull tracks. Here’s the difference and why it matters. A traveling bull will tend to leave tracks that are straight across a hillside with a long, steady stride. A wintering bull will tend to leave tracks that wander about along the hillside with a short and inconsistent stride. Also, be on the lookout for paw marks in the snow where a bull will move the snow aside to get down to the feed. A wintering bull will tend to leave tracks that wander about along the hillside with a short and inconsistent stride. Also, be on the lookout for paw marks in the snow where a bull will move the snow aside to get down to the feed. A wintering bull will tend to stay in one area for long periods of time, even the entire winter. A traveling bull will be much harder to find and could take some serious horseback time to catch up with. Brutal weather conditions will often not affect wintering bulls as much as you might think, but it can certainly hinder your ability to hunt one efficiently. Make sure you watch the weather and learn how to take advantage of Mother Nature’s winter dealings, and here’s how: when hunting in the late season I always try to hunt on the back end of a low-pressure weather system. This creates the best animal movement and activity, as elk and deer will tend to stay out and feed much longer to replenish their nutritional reserves. The day or two before a storm system arrives can be good hunting, as well. However, this can be a tough window to hit and can also leave you stranded on a ridge in a whiteout if you’re not careful. Extreme cold snaps, of the well below-zero variety, can be productive if you are properly equipped to handle the conditions. Conversely, a long, high pressure system settling in on your hunting grounds can be a very tough scenario, as it will tend to put the elk back on “easy street” and send them into a somewhat nocturnal state. Broken antlers and shattered dreams can be the order of the day if a hunter is not careful and meticulous in his glassing when sizing up a late-season bull before the shot. 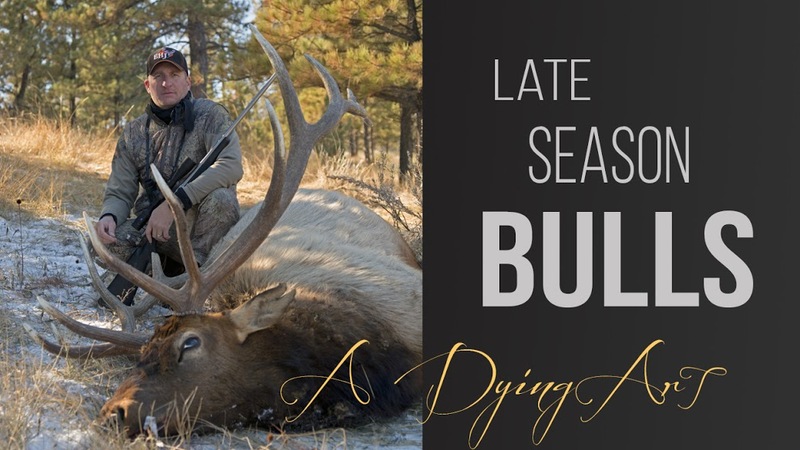 In many cases, finding a big bull that has his crown intact can be the toughest part of a late-season hunt. It seems the farther south you travel the worse this scenario can get. 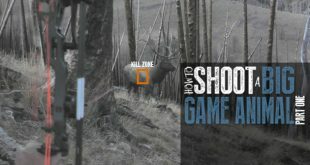 Make sure you really look a bull’s rack over thoroughly before you pull the trigger. Many of these old battlers can show up on the winter range with 10%-30% of their rack missing. Moral of the story – count the points; always count the points. It’s way too easy to not notice a missing G-1, G-2, or G-3; trust me. A 400-inch bull is a freak of nature and should be viewed as such. Keep your expectations reasonable, even if you’re hunting in a high-profile area. 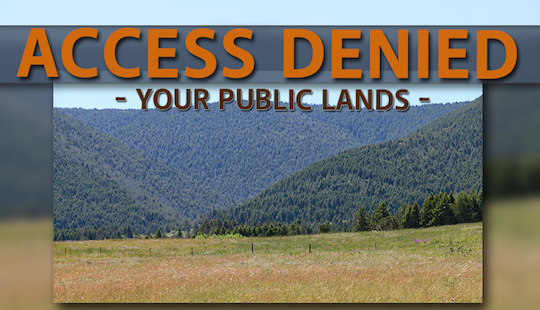 Elk and elk herds can change drastically from one year to the next. There is nothing wrong with a nice mature six-point bull, even if he is not packing 400 inches of bone on his noggin. These late-season tags can hold some of the most unreasonable expectations in their “fine print” of any tag you will ever have in your pocket. Be careful to not believe the hype and to keep your focus on the quality of the hunt and experience as much as the size of the rack. A late-season elk hunt can be one of the best experiences that elk hunting has to offer. Even though the rut is finished, the habitat and the elements can offer the type of hunt that will be remembered for the remainder of an outdoorsman’s life. Keep these six difference-makers in mind when you draw that late-season elk tag, and hopefully you can hang that tag on a big late-season bruiser sometime soon. Next EASTMANS FIREPIT Is the Region G Deer Herd Recovering?